Paddle - Help and Support - Editing the styling of invoices/emails? Editing the styling of invoices/emails? Yes. 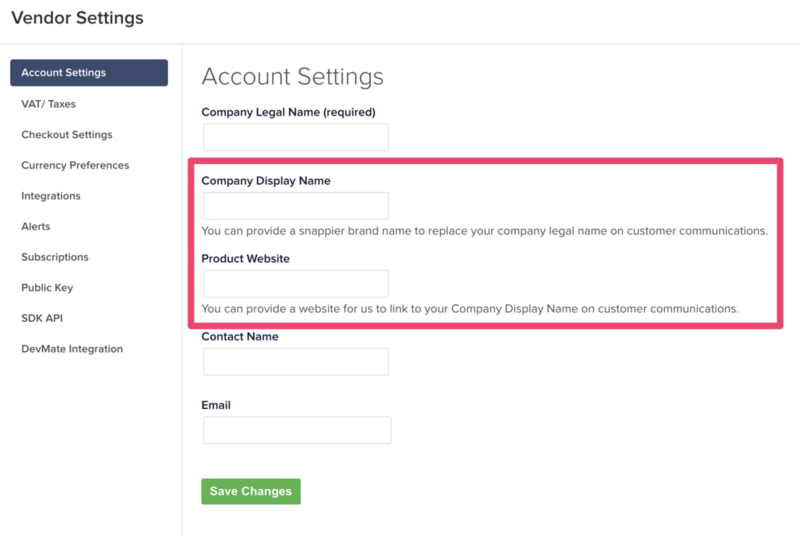 You can customise your order confirmation and customer invoice emails from your Vendor Settings -> Account Settings Page. You can also use your company logo rather than the basic display name. Contact our Success team to get this arranged. Before contacting us, please ensure your company logo meets the following specifications.